The Council of Education played a pioneering role in imparting Law, Commerce and Management Education in this region of Maharashtra to tap the talent from this area. 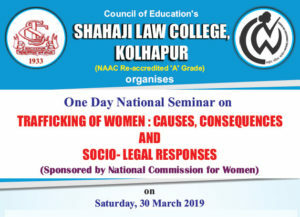 Shahaji Law College was started in 1933 when no facility for Law Education was available from Pune to Belgaum. D.R.K. College of Commerce was established in 1957 when there was no commerce college from Pune to Belgaum M.B.A. course was started in 1971, when management education facility was not available from Pune to Bangalore. The Council of Education was the first to start Night College with a view to provide on opportunity of learning to people employed. The college celebrated Silver Jubilee in 1985. The programme consisting of various attractive sessions was organized for full 3 days. It was graced by the then Vice President of India Honorable Shri Venkatraman. 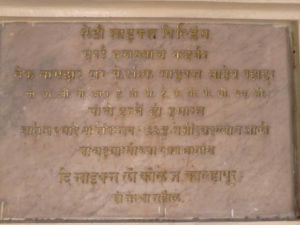 The college was renamed as Deshbhakt Ratnappa Kumbhar College of Commerce on this occasion. The Computer Department was inaugurated on the same occasion in the presence of Honorable Ex-Vice President of India Late Shri B. D. Jatti. The Past Students Association was formed, they arranged a program a full session as a part of the Silver Jubilee. We propose to celebrate Golden Jubilee also in due course. Shri K.D. Kamat Ex- President (Council of Education) honoring Nikanth Kalyani Founder Member of Kalyani Forge on the eve of 2nd death anniversary of Padmashree Deshbhakt Ratnappa Kumbar.